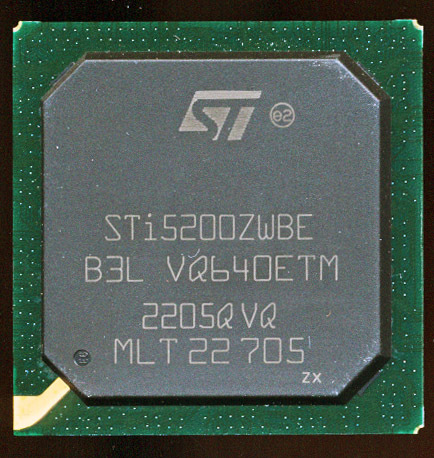 The replacement for the ST20 was to be the ST200, a 32-bit VLIW processor that was jointly developed with HP Labs as the Lx Architecture. It had a 7 stage pipeline (compared to the 3-stages of the ST20) and had 4 integer units, as well as a pair of 32 bit multipliers. 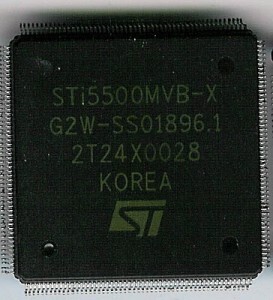 ST used this core in the STi53xx and STi5524 processors, clocked at 300-333MHz with 32K caches. 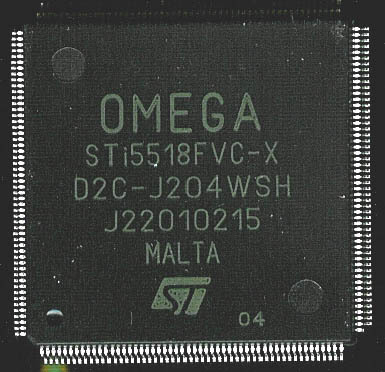 The ST200 (and its ST231 implementation) was going to see its widest use though in the Omega2. The Omega2 processors were based on the 5-stage ST40 cores (40-2xx and 40-300), which was ST’s licensed implementation of the Hitachi SH-4. The first versions (such as the STi5200) ran at 266MHz with 16K of I-cache and 32K of Data cache. These cores included a full MMU and FPU. This rapidly increased to 450MHz with 32K caches. 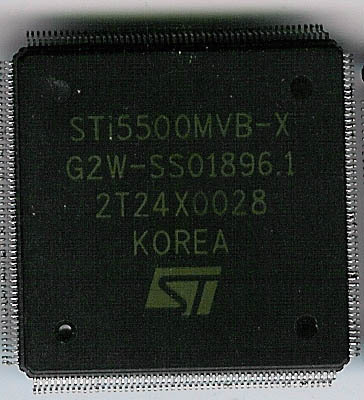 The ST231 core continues to be used as well in the same chip, with one ST231 being used for audio, and one for video, making the Omega2 a triple-core SoC. The Chart below shows a summary of the STi set top box processors, up until the change over to the STiH line. ST made a version for nearly every market, and price point imaginable. Some only vary in features such as added security (useful in pay satellite applications) or in graphics support, and OS support. Others of course have more/less cache and higher performance CPU cores. The Omega2 reached its peak with the STi7100 which uses a dual core 500MHz ST40 with 256k of L2 cache, and 3 ST231 cores for additional processing. In addition, it has a Mali graphics core by ARM. 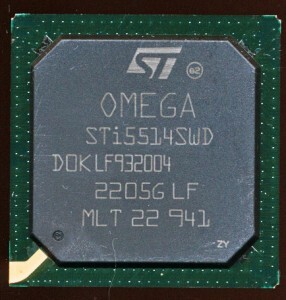 The Omega and Omega2 were replaced by the STiH200 ST40 based, and STiH300 ARM based processors. These were great processors, but the STB market has been shrinking, the features provided by a set top box are rapidly shifting to being included inside the TV itself, or based entirely in the cloud. ST will transition much of those who worked on these to their IoT and automotive divisions, both of which are rapidly growing. And thus the end of the Omega will likely become the beginning of a future car’s infotainment system, or a refrigerators internet connection.